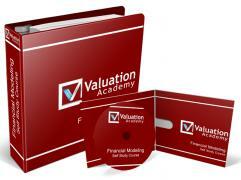 Valuation advisors use financial statements of a firm to assess its financial performance, therefore standardization of accounting practices is necessary. Accounting standards provides guidelines on how to prepare and present income and expenses, assets, owners’ equity and liabilities for a firm and makes the financial statements comparable to one another. 1) Outside the United States, the International Accounting Standards Board (IASB) established the International Financial Reporting Standards (IFRS) which is promoted to be used as global accounting standards. 2) In the United States, the Financial Accounting Standards Board (FASB) established Generally Accepted Accounting Principles (GAAP) which only applies to United States financial reporting. IFRS and U.S. GAAP generally agree in their overall frameworks and have been working together toward convergence. While there are still many differences between the two standards, analysts need to understand, interpret and compare financial statement under different standards. Companies reporting under IFRS that trade in U.S markets must reconcile their financial statement to U.S. GAAP. Balance Sheet is also referred to as Statement of Financial Positions. It reports the financial positions of a company (assets, liabilities and owners’ equity) at a certain point in time. Income Statement is also referred to as Profit and Loss (P/L) statement. It reports the revenues and expenses over an accounting period and measures the operations and profitability of the company. Cash Flow Statement reports all the cash movements of a company over an accounting period and measures the liquidity of the company. Cash flow activities can be categorized as operating activities, investing activities and financing activities. Statement of Retained Earnings is also referred to as statement of owner’s equity. It reports the changes in retained earnings for an accounting period. It can be a separate statement, included as part of balance sheet or combined with income statement. Explanatory notes to the financial statements are any additional information at the end of financial statements. They include things such as accounting policies, going concern criteria contingencies, commitments, stock option compensation information, etc. They help to clarify specific items in the financial statements and provide more information on the company’s financial condition.